As a coach I look at some situations a bit differently. I tend to look at it from the perspective of “how could it have been done better or with a more positive outcome?”. Therefore, coaching people and businesses on how to handle some negative feedback or posts on social media is a passion of mine. 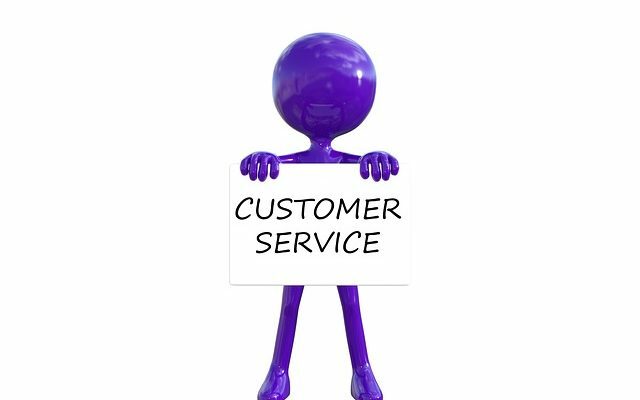 For a business it’s all about customer service for an individual it’s potentially about keeping friendships. My husband and I were wandering around looking for a place to eat dinner, preferably one with outside seating since it was a beautiful evening. We saw a place with a bunch of diners as well as a specials board and decided that a couple of the specials sounded really good. We were seated by a waitress, ordered some wine and just relaxed for a while. As we were enjoying our wine the waitress came back to take our order. My husband ordered an appetizer off the menu and I ordered the Artichoke appetizer from the specials board, the waitress said “sorry, it’s not available”. I was disappointed but it wasn’t a big deal. Then we ordered dinner…. I ordered the other special that I wanted and again was told “sorry, we don’t have that”. I looked at her and said “you’ve got to be kidding. Why haven’t you crossed them off, that’s one of the reasons we came here”. Then I said, give me a moment to pick something else. She handed me the menu and walked away. Our dinners came and were less than stellar, seasoning and pasta pretty good but seafood not great. Then we ordered coffee and dessert. Tiramisu was very dry and so much powdered cocoa on top that you could use it for 3 more desserts. The coffee and wine were good though. Anyway, I was so annoyed with the whole experience that I went back to our hotel and wrote a review and gave them a poor rating or 2 out of 5 stars. The food was fair and they should have crossed the board off when they ran out of the specials. I mean what’s the point of a chalk board if not to keep it current??? In my opinion someone at the restaurant didn’t do their job, or maybe that’s standard operating procedure to draw people in. The classic bait and switch act. If you value what you do, then you do it to the best of your ability. And that means knowing how to diffuse a situation or to change the perspective of a friend or customer. As a coach I would have loved to give a workshop to the restaurant on Customer Service. How to turn a potentially negative situation into a positive experience. The next day while walking around looking at sights, we happened to walk past the restaurant and the waitress/manager came running out and stopped me in the middle of the walkway. She said she read the review and was very upset that I would write anything like that. We must have liked the food since we ate it and she didn’t have time to cross the specials off since they were busy. No apology, nothing but berating me for my opinion. I tried to explain that it takes just a couple of seconds to remove an item from a chalk board and that just because someone finishes a dish doesn’t mean it’s good. It means they were hungry. She kept going on and I finally said, “I’m done and have nothing else to say, the review stands” and walked away. Over the next two days I made sure we did not walk down that street again! A few days later I received an email that there was a response to my review. To my astonishment it was from the proprietor (my waitress), her response was to call me rude and a liar and again state that they were too busy to remove the specials that were not available. Now, how does that bring more business to your door? What do you think that does to your reputation? Good customer service would have been to apologize, give me an idea of a similar entrée or appetizer. Not just hand me the menu back again. And the next day instead of chastising me, it would have been smarter to entice me to come back and try something else… not berate me in public and on social media. It never goes away, think about that before you write something you’ll regret. One bad review doesn’t mean much and it takes quite a few to tank a business, but a nasty response from a proprietor will close a business in a heartbeat. If you’re unsure how to respond, ask for help and don’t ever write the first thing that pops into your head. Businesses need to know how to handle negativity and how to keep customers, not lose them. Coaches can help businesses or individuals to pause and take a breath so they can keep a positive brand and keep their friends or customers. This entry was posted in Coaching and tagged in coaching, customer, customer service, reviews, service. I'm a Certified Professional Coach specializing in Career and Life coaching. I love creating that Aha moment with a client when they realize a truth or that their thinking was a bit skewed. When your thoughts change, your actions change too!